Helmets may not be compulsory for cyclists, but there is no disputing the fact that the head should be as well protected as possible! We recommend that all cyclists wear a helmet. When you're reeling off kilometer after kilometer on your road bike you need a road bike helmet on your head. If muddy trails are more your thing then you'll be needing a mountain bike helmet. There are lots of variations out there for the various different areas of use. From full-face helmets for racy downhills and more moderate trekking helmets to stylish dirt helmets for the BMX park! Manufacturers also have great, approved child helmets for the most vulnerable cyclists! What are the crucial factors to consider when choosing a helmet? First of all you need to find a helmet that fits properly. Too tight/loose is not an option! Next comes comfort. The customization options play an important role here, the adjustment mechanisms for the width and the chinstrap and removable foam padding. Air vents keep your head well ventilated on hot days and on strenuous routes. Some manufacturers cover the vents with fine mesh to prevents dirt and insects from getting into the helmet, whilst maintaining the ventilation. A removable visor can also be very practical. Last but not least, weight and appearance also play an important role. 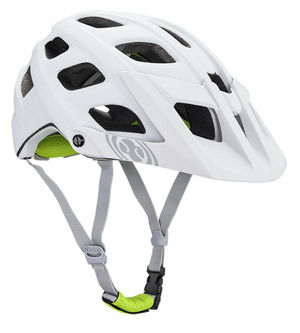 It goes without saying that helmets by brand name manufacturers like Giro, Lazer, Endura and Bell meet modern safety standards and have all the relevant certification. Whether you're heading into town, on a dusty dirt track or in the bike park, it's the construction of the helmet that provides effective protection against head injuries. Most helmets fall into one of these categories, EPS foam helmets, in-mold helmets, microshell and hardshell helmets and helmets with MIPS. EPS helmets use foams of differing strength to absorb and distribute impact forces. These helmets are light and relatively cheap. In-mould helmets feature an outer shell which is fused with the foam and provides better protection than a helmet with a glued on outer shell. Microshell helmets generate less friction on the ground thanks to their smooth outer surface. This reduces the risk of secondary injuries such as whiplash. Hardshell helmets have a similar structure but are somewhat tougher. Their hard, smooth plastic surface is also applied to shock-absorbing foam. Helmets with MIPS go a step further. They have an independently rotating inner shell which minimizes the rotational forces caused by angled impacts, leaving the brain better protected within the skull. Softshell helmets are no longer up to modern standards. They may be light, but she soft outer surface can cause considerable friction forces upon impact which alone can lead to injury. 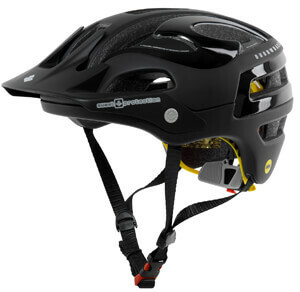 High-quality bicycle helmets serve the sole purpose of preventing head injuries as effectively as possible and providing optimal protection for the wearer. It is important to find the appropriate helmet for its intended use and the correct size.